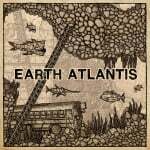 Set after a global catastrophic event that resulted in 96 percent of the Earth's surface being underwater and forced machines to adapt into various marine forms, Earth Atlantis is shaping up to be an interesting shooter on Switch. Your mission is to slay more than 20 'boss monsters' by choosing one of four submersibles, each with unique weapons. The gameplay is made up of classic arcade shooting and strong Metroidvania elements. 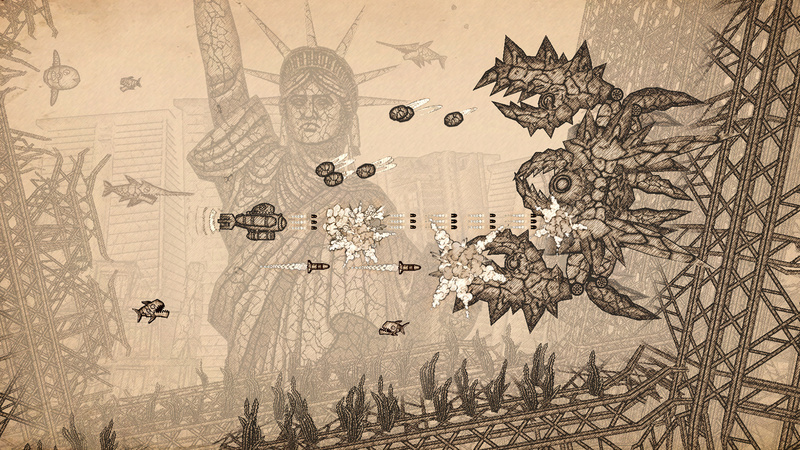 Earth Atlantis also boasts a unique and striking hand-drawn style with dilapidated architecture presented in deep parallax, keeping the visuals engaging and the action intense. Director and lead designer and director Anucha Aribarg took some time out to talk with us about the project. Nintendo Life: How does it feel to be part of a brand new console's library? Anucha Aribarg: As a big Nintendo fan myself, I am so excited to see Earth Atlantis on a brand new game system from Nintendo. How has it been bringing the game to a company's hardware that has influenced so many other developers for so long? AA: The Famicom was my first home console and I have a lot of great memories playing many classic games. I also played some great side-scrolling shooters (like Gradius, Salamander, Parodius, R-Type) on Nintendo game systems. Unfortunately, this genre is a very niche genre today. Nobody makes this type of game anymore. To be able to bring Earth Atlantis - which I truly consider it homage to the genre - to a new system from the company that started everything is just unbelievable. The game's art style is incredibly unique - how important was it to build the game's identity aesthetically? AA: The theme and art-style are the core idea of Earth Atlantis. 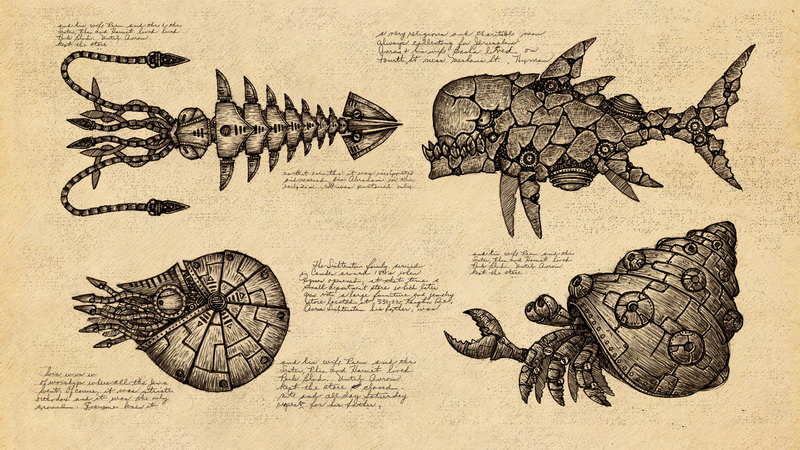 We wanted to make the game about sea monsters that gives players the feeling of 14th century ocean exploration when the sea was considered a very dangerous place and full of terrifying monsters. The old drawing style is just perfect for the game. We are aware that many mainstream gamers will probably not buy the game because of its visual presentation; the art style is definitely not for everyone. But as a designer, I think it’s very important that you make something that is unique and interesting. Another way to look at it, if we wanted to make a game that sells more copies, we would have made a platformer or a dual-stick shooter instead a side-scrolling shmup. We are very grateful that many people appreciate the game. We won the Best in Show award at BitSummit 2017, the biggest indie-game event in Japan, as well as the Excellence in Art award at BIC festival in South Korea. In addition to the game's aesthetic, Earth Atlantis is rich with lore, beasts and weapons. What was the selection process like? AA: Beside the game aesthetic, boss monsters are very important. It’s a core gameplay of Earth Atlantis. We have to make sure that all bosses are different. Each boss has a different movement and a different attacking pattern. Some have a weak point, some don’t. Players need to learn how they move and attack in order to beat them. Also, Earth Atlantis is about an ocean adventure so we tried to give players a sense of freedom. 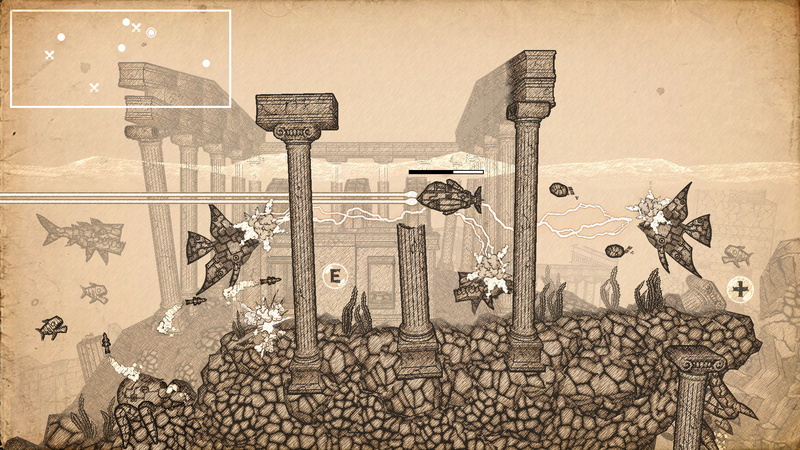 Earth Atlantis has one large seamless stage, Metroidvania style. It goes very well with the monster-hunting style gameplay. Do you have any personal favourite monsters? AA: My personal favourite monster is the last boss. I don’t think I should reveal anything now and leave it as a surprise! As a hybrid system, it could be argued that Switch owners get the best of both worlds. How has the development process been since the console's reveal? AA: I don’t think it had any effect on the development process, but as a Nintendo fan who I followed every single news and rumor about “Nintendo NX” closely; the Switch is everything I hoped for. As a developer and a consumer, what attracts you to the Switch? AA: Of course, the fact that you can play the Switch on both handheld and home console modes. Personally, I don’t have time to play a console game in front of TV anymore. The handheld mode is just perfect for me. I can play it anywhere and whenever I have a free time. Was there anything outside of video games or a specific artist that influenced you? AA: In particular, artworks from 20,000 Leagues Under The Sea. We were inspired by Jules Verne’s novels and old monster films. A number of the ships and special events are named after old horror films or classic literature, and most of the bosses were named after Greek mythology or classic "kaiju" monsters. Guess we'll see when it comes out. Interested in this; hope the wait isn't too long. Looks interesting and will definitely be something I will take interest in. I'm really excited for this game! Now that's my kinda shooter! The more I hear about this game, the more it intrigues me. Looks like a day 1 purchase for me! The fact that the developer talks like he hasn't played a new shmup since the SNES days does not inspire much confidence. That he's developing a shmup homage with fish enemies, yet does not seen to be aware of the Darius series at all (or refuses to mention it), or that it had a new entry very recently with Dariusburst in arcades and on PS4/Vita is really bizarre. I played a demo at Tokyo Game Show, last year. Cool game. Really glad it will be on Nintendo Switch!! But When? Looks really great - but wonder if it'll be exhausting on the eyes to play for very long. Wow. Have not seen a brand new horizontal shmup for many years. Looks great !! Day one 4 me. Sounds great to me. Will likely purchase. @EmirParkreiner You might be right, but I think he mentioned those particular games in conjunction with Nintendo. Whether or not he knows anything about modern shmups, most of which are not on Nintendo, is still up in the air. His basic point, that the genre is niche, particularly on a Nintendo system, seems accurate to me. @ehonglin I love the art style. How was the demo? Was the gameplay fun? @NoxAeturnus I agree with you. I am a real retro shmup fan.I can tell you I have not seen "a new" horizontoal shmup on consoles in the past 3-4 years. There were many ported "old" games. Darius on PS4 was a ported version of 5+ years old game, upcoming Sine Mora X as well. Of course, there were probably a couple of PC indie shmup that I missed. This game remind me of Kaitei Daisensou. At a glance the style reminds me of Steel Empire on the Genesis! "Another way to look at it, if we wanted to make a game that sells more copies, we would have made a first person shooter, probably a Call of duty clone instead of a side-scrolling shmup." @Priceless_Spork <insert why not both gif here> I think Steel Empire X Darius nails it. @GrailUK Why not Steel Empire X Darius X In the Hunt? @Priceless_Spork could use some color no? @NoxAeturnus It was fun - if you like an old style shmup (not a fast-paced bullet-hell type). I don't know, i'm sure the developers of this have good intentions and put a lot of effort into this, and maybe it'll turn out to be an interesting game on it's own, but i really don't think there's a chance that it'll be good as a shmup. I've looked around on the social media accounts of the developer, and there really isn't any connection to anything that has been relevant to shmups in the last 20 years. Also, the gameplay is really not all that similar to classic horizontal and vertical shmups which usually have forced scrolling in one direction, it looks more similar to Bangai-O. @Priceless_Spork still gonna be a purchase regardless and yes it still looks cool, I'm just thinking the Switch screen is so beautiful that B&W seems almost self defeating. But I get the whole style thing. Both Gunman Clive were great games! @ehonglin Cool thanks, sounds like it's worth trying out to me. Anyone remember Sub Terrania on Genesis? Any time I ever see a multi-directional shooter I always think of that game. Like this: "Earth Atlantis looks alright, cool art style, if it had gravity it would kind of be steampunk-ocean-Sub-Terrania." I know that's a ridiculous thought, since they're totally different, it just happens sometimes. @NoxAeturnus The gameplay is quite different from a regular shmup though. You just go fight with boss monsters right away. I remember Sub Terrania. This game was extremely difficult and confusing. Fantastic!! Coming this fall. Hopefuly with an indie price tag, less than $20.